In this post I’ll be reviewing the Japanese novel “Downtown Rocket” by Jun Ikeido, which was published in 2010 by Shogakukan (小学館). Like I sometimes do with Japanese books, I picked this without doing a great amount of research aforehand, more as a impulse buy when I was in Japan last year. There were two things that drew me to this book: the title (I like rockets, and I like the concept of “downtown”), and the fact it had recently been made into a TV drama starring Abe chan who is one of my favorite Japanese actors. Ironically, I started watching said drama before I got more than a few pages into the book, but I stopped after the first hour. One reason was because I didn’t enjoy the story and pacing of the it that much, but I think a bigger reason was because I wanted to read the book first. To be honest, one of the main reasons I sort of made myself read the book was because I had just started working part-time as a Gengo translator, and this would be a convenient way to brush up my business-related Japanese. Since I’m already talking about Japanese, I’ll discuss about my linguistic experience before I move to the rest of the review. As I expected (based on the hour of the drama I’d seen), there was a great deal of business Japanese involved, and I feel it really did help me learn some phrases that I applied to my Gengo work. The downside is that my reading speed was even slower than it usually is, as I read carefully and ingested sentence by sentence. With some books, after a few pages I get used to the author’s style and my reading speed jumps up a notch or two, but for this novel it took me about a quarter to halfway through until I felt that kick. I think one of the reasons is because of the legal terms used in the first half of the book, in addition to the already challenging business Japanese. While there is some everyday conversations between the main character and his family, they are few and far between. One reason that you should probably stay away from this book until you have a few years under your belt (besides the difficult business, legal, and manufacturing terms), is that there is a lack of polite Japanese in certain scenes that is surprising. I actually did some research about this and am considering doing another post on it, so I won’t go into details now. But I’ll just say some of the interactions are far from what you’d find in a textbook. One advantage of the novel having been remade into a TV show is that depending on your preferred learning style, you can use these together to improve the chances of retaining new words. By that I mean you can watch the drama first (possibly with subtitles), and then when you read the novel you’ll already have some context, so it will be a bit easier, and you’ll be re-using words you learned in the drama which will help you retain then, and hopefully use them yourself someday. As for the story, it’s about a company that produces a special valve system, with a CEO who was previously a researcher until his career got cut short by a certain incident. As things proceed, his company interacts with several other companies, related to legal, business, or financial issues (I’m being purposefully vague here to avoid spoilers). The title refers to the fact this company is only a “downtown” company in the sense that they are not a massive corporation, and yet they can do some amazing things technologically. One interesting theme of the book is respect for the ardent efforts of workers who assist in manufacturing with a manually intensive task (like sanding), using skills they have refined over many years. While there are expensive machines (that only the ‘big companies’ can afford) that may seem to do better, in fact sometimes humans still have an edge. Another key theme, this one even more predominant in the work, is doing what you think is right to achieve your dream, without selling out for the sake of cold hard cash. This means that sometimes you have to stand up to the “big companies” and hope to somehow survive against incredible odds. I really enjoyed these types of themes, and think they were woven pretty well into the story. The popularity of this book (including the fact it was made into a TV show with a top actor, which I heard got very high ratings near the end) goes to show that it has somehow hit a nerve in the Japanese populace. Maybe it’s because there are so many people working at smaller companies and wish they too could stand up against the big corporations? Whatever the reason is, this book is a enlightening study into the modern Japanese mindset and culture. One other nice thing about this book is that the author will take pauses periodically to explain advanced business concepts, which is great if you are new to these things. Unfortunately, these weren’t as frequent as I had hoped. The plot itself did have some issues, like how it was too predictable at some points, and also that the pacing somehow didn’t match my expectations. For example, some events I thought would get resolved quickly took a long time to get solved, or vice versa. Because the nature of the story is more event-based (than emotion-based) and focuses on technology and business, I think the writer’s dry, objective style was somewhat fitting. Having said that, I felt that there was just not enough visual description throughout, except for a few places where a character looks out the window while in thought. Despite some of it’s weak points, I highly recommend this book for those who have advanced-level Japanese skills and want to see how this mid-sized business fares against the big guys, or like me just want to brush up their business terms. Unfortunately I don’t know of any plans for an English translation, though there is chance I would experiment with trying to translate chapter or two as an exercise myself. During the process of verifying some things for this article, I realized that the author of this book was actually the same person who wrote “オレたちバブル入行組” (made into a drama titled “半沢直樹”), one of the last novels I had read. You can see my review of it here. While these books share much in common at a thematic level, the domains (finance vs manufacturing/legal) were different enough that I was pretty impressed the same author had written both. If you are deciding between these two I actually recommend “オレたちバブル入行組”, since for me it was much more enjoyable (though the Japanese was equally difficult). I think one of the reasons for this is it focused more on a single person as the main character, whereas in “Downtown Rocket” the company itself felt like it was the main character, despite the fact the CEO played a big role. You can get 下町ロケット on Amazon Japan here, where they have paperback (Bunko), hardcover, and Kindle versions. Update: it looks like a follow-up book came out late last year “下町ロケット2 ガウディ計画”. You can get it here. Update: I’ve translated the prologue of this book into English here. It looks like your blog automatically linked back to me! I have enjoyed reading your book reviews. 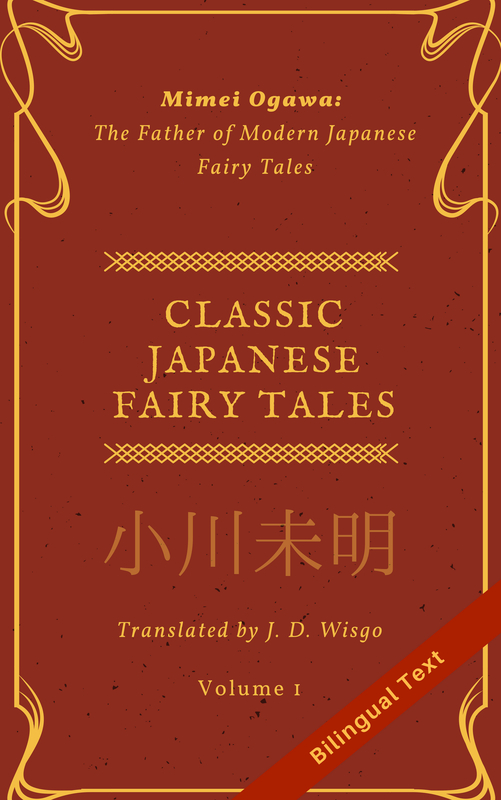 I have looked, but I haven’t found many blogs doing reviews of Japanese books from an English speaker’s perspective so I decided to try posting my own. I don’t have a lot of real experience in Japan lately, so I look forward to your post on the lack of polite Japanese. I actually didn’t even pick up on it!